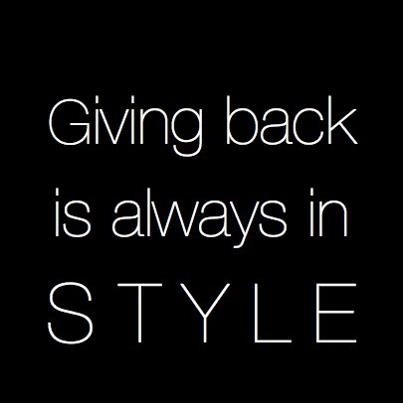 Welcome to the ‘Giving Back’ section of my blog, it’s a destination for me to shine a light on the brands, business and individuals who are doing their part to give back to others. No matter how big or small, it all counts. Every last piece of generosity will count for some change. To me, giving back is as important as breathing air, I have an unexplainable urgency when it comes to giving, I see it as an everyday way of life and something I’m completely commited to. What’s the point of getting things if we don’t also give back? In the wise words of former UK Prime Minister Winston Churchill “We make a living by what we get. We make a life by what we give.” Mr Churchill, I couldn’t agree more. I hope you enjoy reading this section of the blog, and stories of people who are doing their part to make a difference in the lives of others or for the planet, including updates from our own charity The Sebastian Foundation. If you know of anyone who you think I should shine a light on who is giving back, please don’t hesitate to leave a comment or get in touch.